Hello! I am Peter and I am one of the drivers of http://www.soltransfer.com. On April 22nd, I had the opportunity to pick up some clients at Málaga airport. They are some clients from Norway who have booked our transfer service for the first time. They had never been to the beautiful town of Nerja and they wanted to spend a fantastic week here. They arrived at Málaga airport at 9 o’clock in the morning and we had already arrived in Nerja at 10 o’clock in the morning. They were lucky to arrive on a nice day in which ”Día del Pedal” was being celebrated. This is a non competitive sporting event that has been held each year in the town which sees locals and visitors cycling around the town according to an official route. There are participants of all ages and all manner of bikes and scooters rolling around the town starting from Plaza de España. These clients loved the atmosphere of Nerja and they were very lucky to see this event in the morning. 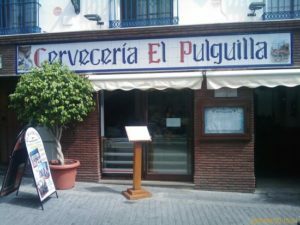 After this, I recommended them to go to a very popular bar called ”El Pulguilla” in which they could enjoy ”El pescaíto frito”, a traditional dish of Andalusia. We want to remind you that we are specialists in all types of transfers with a lot of experience and a fleet of new quality vehicles. 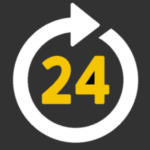 We make transfers every day of the year, 24 hours to the entire eastern Costa del Sol. Do not hesitate, if you want a quality transfer service at the best price, make your reservation now at http://www.soltransfer.com, without prepayment and without obligation. We will wait for you!! Esta entrada fue publicada en Málaga Airport Transfer to Nerja y etiquetado Andalusia, Costa del Sol, Día del Pedal, El Pulguilla, Málaga Airport, Nerja, Pescaíto frito, Plaza de España. Guarda el permalink. Just what you need !! Your driver will be waiting at Málaga Airport in the arrival hall of the Terminal 3 and will be holding a signboard with your name on it. All cars, drivers and passengers are covered, we have all types of insurance required according to the EU regulations. We always offer above all a safe transport. 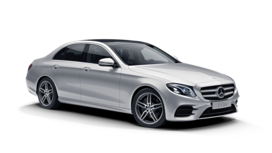 All our car drivers can speak English and they have all requirements and are licensed to provide you the best journey on the Costa del Sol, in addition they drive smoothly and you will be treated with kindness at all times. 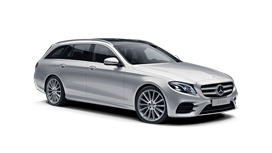 We have the best brands of cars and minivan in the market, our private taxis and transfers are always insured and revised. We care about the safety of children with child seats, for this reason baby seats and booster seats free for all our clients !! We will ensure free amendments and cancellations, no booking fees and No credit cards, please advise so that our driver does not waste his time at the airport, we will be grateful !! Fixed rates, Your quote is the price you pay with no hidden extras, No surprises, No credit cards, Pay your driver on arrival. The capital of luxurios tourism along the Costa del Sol, Marbella is both the home to many wealthy and well-known personalities, as well as the holiday destination for millions of travelers from across the globe each year. The city of Marbella sits on Spain's southern coast, approximately 50 miles from Malaga and a transfer from Malaga airport to Marbella will take about 40 minutes. The Marbella coast offers a number of resort and beach towns, including Puerto Banus, Guadalmina and Nueva Andalucia. Benalmadena lies approximately 12 km to the west of Malaga city and it is a short trip in taxi from Malaga airport to Benalmadena. The municipality is divided into Benalmadena Costa, along the coastline, and Benalmadena Pueblo (Benalmadena Town) located approximately 3 km inland. While Benalmadena Costa offers more to the summer tourist, both areas have a great number of sights and activities, including an aquarium and Marina theme park. Located 50 km to the east of Malaga City, our transfers from Malaga airport to Nerja take approximately 50 minutes. Nerja's long coastline and pristine water make it an idyllic location for all types or water sports and marine activity. Nerja is well known for its impressive Balcón de Europa, as well as the numerous pre-historic caves found nearby. Fuengirola is one of our top tourist destinations in Malaga. It's 7 km of beaches and many golf courses make Fuengirola an ideal summer destination. When the sun goes down, Fuengirola's city centre offers numerous restaurants, shops and cafes for visitors to leisurely pass the evening hours. 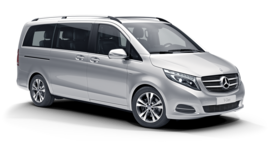 It's combination of resort style amenities and modern city activities makes it clear why so many travelers book Malaga airport transfers to Fuengirola year after year. Located along the Marbella coast, Puerto Banus is the essence of luxurious tourism. Constructed in 1970, Puerto Banus combines the traditional mediterranean aesthetic of its town with the lavishness of its many yachts anchored in the harbor. Pre-booking your transfer from Malaga airport to Puerto Banus is the easiest way to arrive stress-free and in style. The charming and traditional village of Mijas is quietly tucked away in the hills above the Andalucian coastline. The town of Mijas (Mijas Pueblo) is often confused with the much more modern and popular tourist area of Mijas Costa, which spans 12 km of coastline, in the centre of which can be found Cala de Mijas. Malaga airport transfers to Mijas Costa or Cala de Mijas take about 30 minutes. A Malaga airport transfer to Estepona will take about an hour and while perhaps less known for the vibrant night life found in many other destinations along the Costa del Sol, Estepona offers a more relaxed holiday atmosphere. Of course, Estepona and the surrounding area still offers much to see and plenty of activities, including the Selwo Wildlife Park and numerous golf courses.